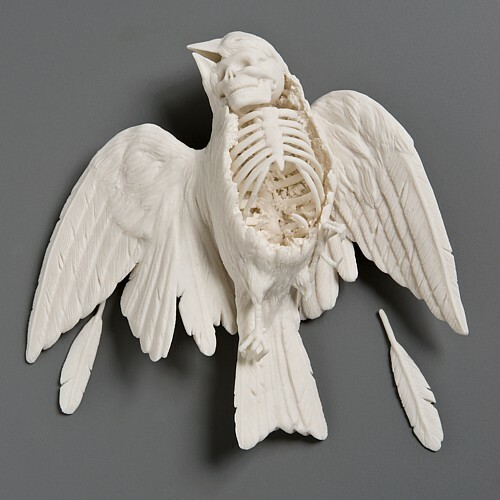 Kate MacDowell knows that the inside of my heart looks like. Talking Heads and American Psycho– what’s not to love? This might be mildly NSFW. These redesigned posters for popular tv shows are swoonworthy, and for sale! What if Google had to design for SEO optimization? I want this Ice Cream Sandwich Bench. Ed gives us every reason in the world to stop using GoDaddy. I have a sudden urge to order a ton of hot chocolate on a spoon. I’m finding your blog a fantastic resource for loveliness that I would otherwise miss. Thank you. Those redesigned TV posters are really really nice. oh my god, i had to send that video to my sister who is a gigantic christian bale/american psycho fan. i’ve listened to this song four times in a row now. et aussi: i’ve been seeing kate mcdowell’s work around a lot lately on the internet and every time another one shows up on my rss feeds my heart skips another beat. To be honest I fully concur with Your thought.